In this post we are going to show a simple example of refactoring code to better adhere to the Single Responsibility Principle (SRP). Where TwitterService is a placeholder and can be, for example, a .NET port of the Twitter API. Everything works as expected. Now suppose that we want to implement some kind of caching. In the code above, the TwitterService.GetTweets method always gets called. What we want to happen is to find a way to store the tweets of a User the first time they are retrieved, so that next time, the data will be fetched from this cache rather than calling TwitterService.GetTweets again. So now, the TwitterService.GetTweets method only gets called the first time. On subsequent calls, the values stored from the Dictionary will be returned. Everything works as expected. In the first version of the code, the only responsibility of MyService was to process tweets, and getting the tweets was straightforward. In the second version, which implements simple caching, another responsibility was added: the management of the cache. The implementation of caching is not directly related to the "process tweets" requirement. As we saw in the first version, the requirement can be satisfied even without caching. Because of the point above, changes to the caching implementation should not affect the "process tweets" implementation (that is, the MyService class). But as the code stands right now, any changes to the caching implementation will change the MyService class. In this setup, changes to the caching implementation will only affect TweetCache. MyService will be unaffected. 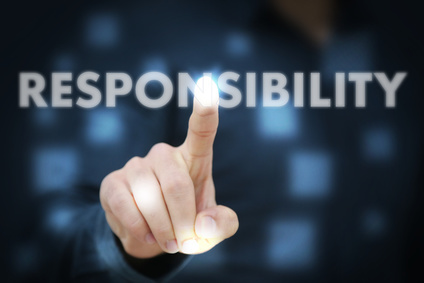 In this post, we saw a simple example of a violation of the Single Responsibility Principle along with a possible solution. To keep things simple, the implemented solution is a helper class with a static method. There can be other solutions to the problem, however the main point of this post is to show that different responsibilities should belong to different classes.